Posted 28 November, 2018 28 November, 2018 Rommel Doctor Jr.
Alibaba sets new record year on year with China’s iconic 24 hours ecommerce sale – Singles’ Day – which happens every 11 November. At the start of the sales this year, sales reached US $1 billion in just 1 minute and 25 seconds. The gross merchandise value (GMV) reached over US $30.8 billion in sales, exceeding 2017’s record by US $5.5 billion. In the United States, Black Friday 2018 saw a 23.6% increase in online sales from 2017, with total sales reaching US $6.22 billion. So what is the secret behind happy customers who will spend weeks dropping things into the shopping cart and staying up all night to wait for the magic hour to click “check out”? Besides the huge savings, what really marks the success of these ecommerce sales boils down to efficient last mile fulfilment – where goods are promptly packed, shipped and delivered into the hands of the receivers, at the shortest possible time. This is especially essential if orders to be fulfilled overseas. 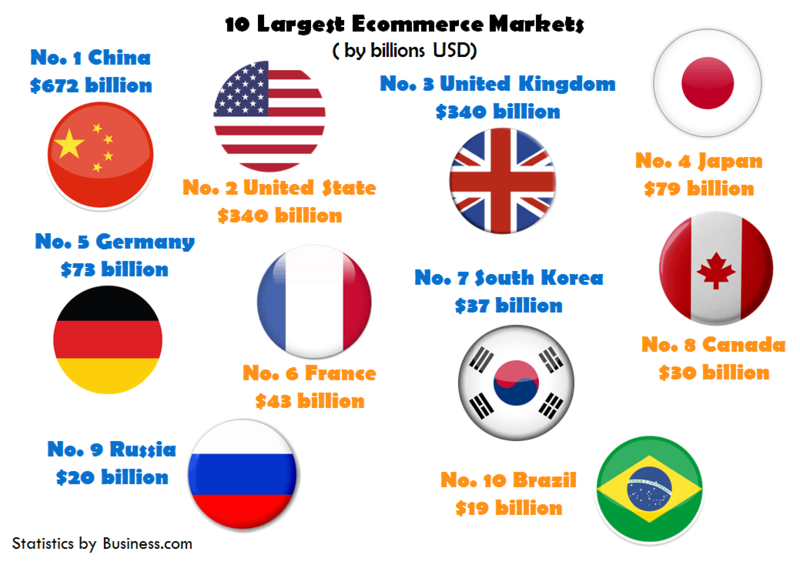 Below are the 10 largest ecommerce markets, according to Business.com. And according to Statista, online sales figures for Southeast Asia (combining sales of Singapore, Malaysia, Indonesia, Vietnam, Thailand, Myanmar and Philippines) are expected to reach US $87.8 billion by 2025. Singapore’s online revenue for 2018 is expected to reach US $3.84 billion and is forecasted to grow to US $5.489 billion in 2020. With so much opportunities out there, for an e-merchant who is growing locally and expanding globally, having a reliable 3rd party logistics (3PL) service provider is therefore very important. The 3PL service provider should be one who can provide warehousing solutions, pick and pack service, and delivery service in Singapore and beyond. One of the most important factors for cross border international deliveries is that your logistics provider need to have a large network of partners around the world, and provide you and your customers with real-time visible tracking of the shipments at every stage of the delivery. A good international 3PL partner will take away the hassle of managing custom clearance, duty and tax procedures from you so you can spend the time growing your business. 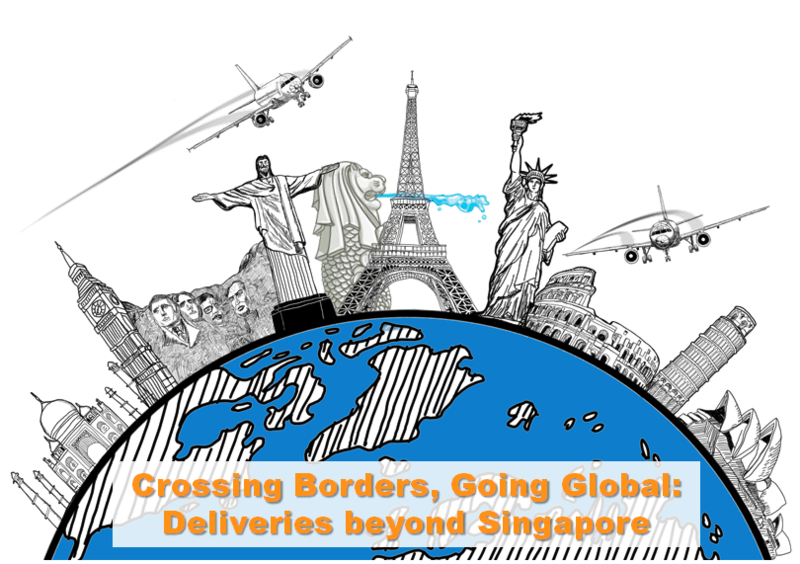 As one of Singapore’s top 10 delivery companies that provides same day delivery service for documents and parcels, XDel also provides cross border and international delivery services. We can help you deliver in Singapore and beyond, and at every stage of the delivery process, you can be assured of having a single point of contact to assist you. To find out more about our cross border and international delivery services or simply express courier services in Singapore, drop us an email to let us know how we can be of service.